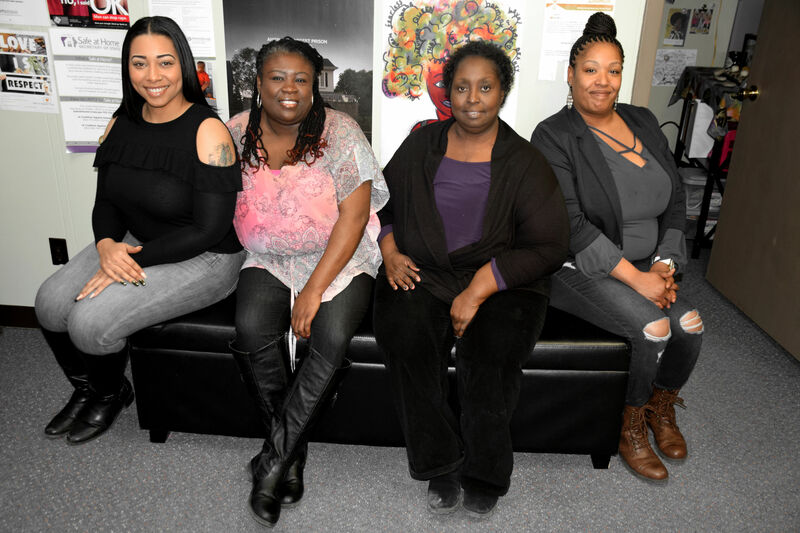 Amani Community Services is the Domestic Violence and Sexual Assault Response Agency serving African Americans in Waterloo, Cedar Rapids, and Dubuque, Iowa. Our mission is to end all gender-based violence in the African American community. We know that the number one reason our clients stay in domestic violence situations longer than they intend to is because of financial circumstances that don’t allow women to leave. In response to this, our staff came up with the program Fast Track to Success. Fast Track to Success is a six-week group program where participants learn to become self-sufficient and find a job. The topics for this group include making vision boards that identify their job goals, creating resumes, filling out job applications, discussing proper interview attire, and helping find community and job search resources. The participants in Fast Track to success come from Amani Community Services and surrounding agencies in the community. Clients are given a survey in the first week to find out what they know about finding employment that will allow them to be economically self-sufficient. At the end of the program, they share what they have learned, and which skills and approaches were the most useful for them. We also have incentives for the clients that attend the group. We understand that it can be a financial burden for clients to come to group meetings. Staff draw names for prizes. The prize can include $25 gift cards from Walmart and gifts donated from other nonprofit agencies to purses filled with hygiene items. We are looking at expanding the group to include a speaker from our Urban Education agency, where they share about going to college and financial assistance. We understand that time is of the essence to our clients and that they need resources to be able to choose between shorter degree and certification programs and four-year programs. We also understand that our clients come from diverse populations and most of the time it is hard for them to imagine people who look like them in positions that provide full economic self-sufficiency. Some of our clients may even have a criminal background that prevents them from applying for certain jobs. To address this our staff will add another week to the program where members of the African American community will share about starting their own businesses and thinking outside the box or even how a “side hustle” can help them make extra money and find economic freedom. Clients hear from a variety of speakers from the community that come and speak about employment issues and clients are referred to the Iowa Workforce Development to seek additional services. These classes have helped our clients to look outside the box and have a vision for what they may want to do. Our clients learn that they can have a career and not just a job. Upon finishing the class, one of our clients went and applied for a job at a place of employment that fit her skills and abilities, but wasn’t hiring. In part because of the Fast Track to Success program, she was hired! She stated that she took what she learned from our group and introduced herself and gave them her resume and she was given an interview the following week. This participant plans on working to save money to help find a place of her own. And that’s just one of the success stories from our program.